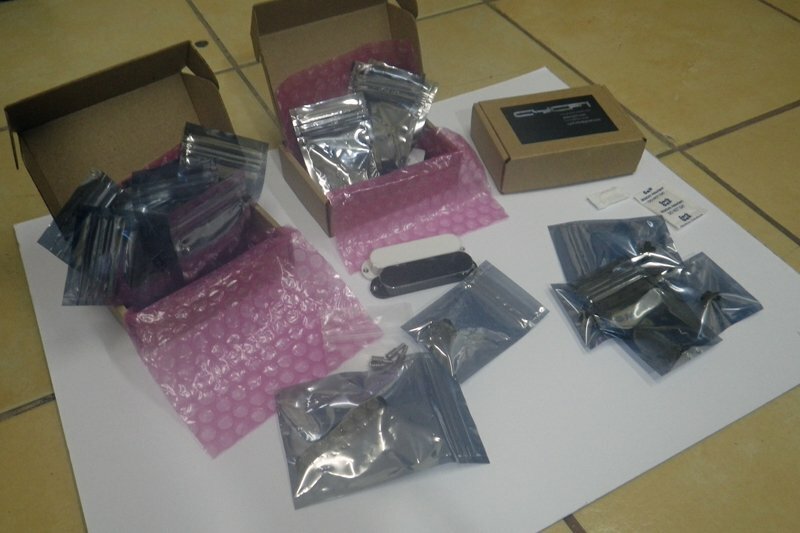 We shipped the first batch of Neos. Yay! To all early adopters, a warm THANK YOU. To those who were left out because the initial release was intended for DIYers, serious hackers and guitar builders only, we are working hard on addressing your needs and requests. Right now, we are in the process of prototyping support infrastructure to make it easier for anyone to use the pickups. A full system for end-users is in the works, including a breakout box for ease of use. I’ll also be I will be posting a series of how-to instructions. Hopefully that will help those who are interested in using the pickups but don’t have any idea how to yet. Thanks, Roy. Thank you for your support.